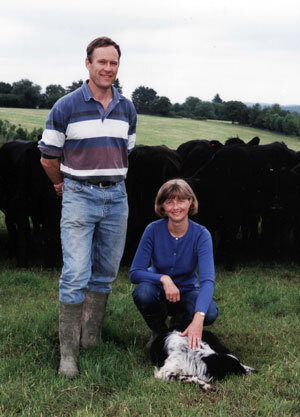 We are a family run farm and have been here since 1981. We have enjoyed running the B&B for over 25 years. 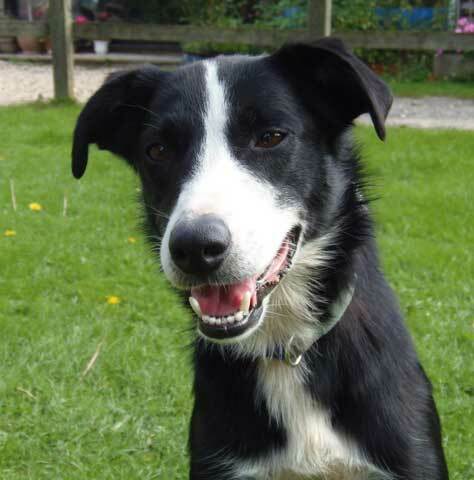 The farm is run by David , Tina and son Robert, along with the help of Reggie, Skip and Bryn the working dogs! We also keep a few chickens and farm cats. We are a livestock farm presently rearing Aberdeen Angus cattle and we also have a flock of sheep which usually lamb in April. We are situated on the edge of the New Forest in the village of Plaitford near Romsey. 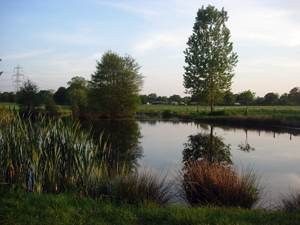 The New Forest National Park is a unique landscape of ancient woodland, heather-covered heath, wide lawns, boggy mires, gentle farmland, coastal saltmarsh and mudflats and picturesque villages. 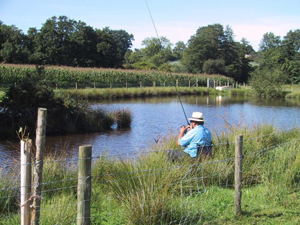 Guests are welcome to look round the farm, where we also have 2 fishing lakes. We have a “5 van Caravan and Motorhome Club” certified location site, and a small courtyard of self catering barn conversions. Our guests can also easily walk or cycle into the New Forest from here where there are wild ponies alongside cattle , sheep and pigs, roaming free. 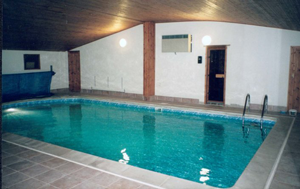 Our swimming pool has just been newly renovated – new photos to come shortly. Our aim is to provide a friendly, home-from-home atmosphere so you can relax and enjoy your stay with us. All our Bed and Breakfast rooms are en-suite with drinks facilities, TV and radio alarm clock. The double rooms having king sized beds. For breakfast we offer a full English breakfast using wherever possible home produced or local products. Pyesmead Farm is an ideal base for walking, riding and cycling in, and around, the New Forest and is also within easy reach of many other wonderful attractions and places of interest including Salisbury, Winchester, Bournemouth and the historic dockyards of Portsmouth. There is lots to do in the area, something for everyone and all ages. Take a look at our things-to-do page for a few ideas to get you started.